Thirty-three cards o’ Trots Released in 1985, this set of cards highlights the career (up to that point) of New York Islanders legend Bryan Trottier. The set sponsored by the New York Islander News and, according to Beckett, was issued by the Port Washington Police Department. 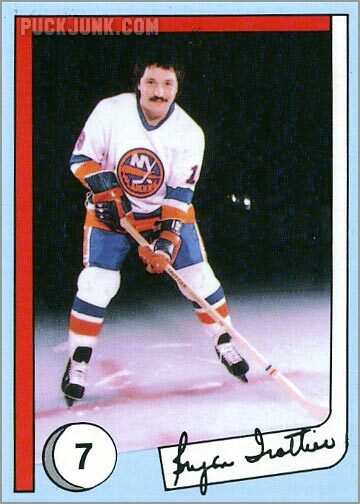 The card fronts show photos of Trottier from various … Continue reading "Review: 1985 Islander News Bryan Trottier"